Nice to know that the UK's finest educational minds are thinking ahead. "It's a very short route from wireless technology to actually getting the electrical connections in your brain to absorb that knowledge." Just in case though, I'm patenting the idea of a SIM card slot that goes behind your ear. Since I posted the item about Google and mobile advertising yesterday, I've been giving the matter some more thought. By coincidence, I had a pre-arranged briefing this morning with the CEO of a company (BuzzCity) doing mobile advertising, especially in emerging economies. They specialise in "Tier 2" users - essentially the emerging middle class in developing countries, plus some blue-collar workers in more mature markets. Interestingly, the base includes quite a lot of the elusive "mobile-only Internet users" I crossed swords with Tomi Ahonen about earlier this year. They have around 3m users in total. The BuzzCity CEO came at my question of the realistic per-use revenues from a different angle - instead, taking a top-down view about the "share of total advertising" in a given country. He suggested that mobile might get to 5-10% of the total, on a 5-10 year view (this is in developing countries like Thailand or Indonesia). I also tried to work out some metrics along the lines of my previous post. Based on some other numbers I got about the business model, I'm estimating that they're doing perhaps $0.20-$0.30 per active user per month, based on primarily WAP-site text and banner ads on low-mid-range phones. That's actually pretty good - and it could be argued that as the market matures, that should increase... although competition will probably push down prices, and I suspect they've got a lot of early-adopter advertisers still experimenting with pricing. One thing that did come out though was that it appears that there are now a lot more cheap/easy prepay-friendly data plans coming out in some countries in the developing world. He cited examples of new tariffs (often per-time rather than per-MB) that massively increase mobile data access in some emerging markets. Bottom line - mobile advertising is starting to grow quite healthily. But I'm still utterly unconvinced that Google's view of it overtaking fixed-Internet ads is at all probable. Google CEO on mobile advertising: Golden Goose or Dead Duck? Based on this article, it appears that Google's CEO Eric Schmidt does actually appear to believe that mobile advertising will be larger than that on the PC Web. I'd heard various people quote him before, but I'd dismissed that as out-of-context rhetoric. The question in my mind is how can this really become true? The current online advertising market is c$50bn - ie about $40 per Internet user per year (there's about 1.3 billion users), or $3 per user per month. That will continue to grow even as mobile ads are introduced, so realistically by the time of any cross-over, it's likely to be at least $5, $6 or greater, per user per month. Now obviously at the moment mobile has a greater number of total users (2.7-3.0bn, depending on how you deal with multiple devices, non-phone devices etc). But a lot of those will be inaccessible to anything but *very* primitive adverts for a long time to come. Probably a billion or more are on $10 ARPU or less, with 2G handsets and no likelihood of getting data access any time soon - basically SMS ads only, or perhaps voice-insertion messages. Another big group have OK handsets, perhaps $10-20 ARPU, but also mostly prepay with limited use of data, except occasional browser use. (The future "next" billion to get mobile devices will probably be on <$5 ARPU, so for all intents & purposes I think advertising will be a near irrelevance). Even looking out to say 2012 or 2013, the number of people with iPhone-grade browsers on their handsets, ideally with 3G and flatrate data, is going to struggle to get much beyond 500m I would have thought. And even then it's likely that not all of them will be *active users* of mobile web access. And as the mobile search people are so fond of mentioning, "people don't browse on the mobile web" - ie session times are much lower, albeit more frequent. And there's less screen real-estate, so fewer ads can be seen per minute or per session. Another issue is that PC online ads include both B2C and B2B. I don't know the split (does anyone?) but I have to believe that B2B mobile advertising will be much harder than B2C, ironically, because of the "personal" nature of the medium. So mobile B2C will need to outstrip fixed B2B+B2C for Schmidt's prediction to become true. And I think that a lot of things that are currently advertised on PC-web will be difficult to translate directly to mobile-web, because they are complex purchases rather than the sort of instant-response or brand-recognition ads that work best on phones. Who's going to want to fill in 100 data fields for a car-insurance quote on phone? Or find jet engine maintenance services? Sure, there will be things that are *easier* to advertise on phones, and there may be different ways to advertise that overcome the limitations. But I think it will be quite a while yet before we go down the learning curve. Another good thought-experiment is if anyone would ever administer their own Google AdWords account on a phone rather than on a PC. Let's be very generous and say that there will be 1bn "full mobile web" active & regular users by 2013, with maybe 1hr or 20+ sessions per week. (I reckon 3-400m is more plausible, but let's go for the big round number). Then there will be a long tail of maybe another billion getting text ads, occasional browser ads and so forth, but realistically that's not going to add on a huge extra chunk of revenue compared with all-singing-all-dancing, high-response clickthrough mobile web ads, especially as many of the next bunch will be anonymous prepay users. And by that time, PC Web advertising should be heading towards $100bn, I would have thought. So for mobile to catch up, it'll have to be hitting $100 per "full" user per year, or $8 per user per month. Does Schmidt honestly believe this? I'm certainly not professing to be an advertising expert, but this just appears to be far too much of a tall order to me. Sure, response rates should be better, but I'd be wary of extrapolating from 100k early handpicked Blyk users to a billion mainstream punters. Especially as, even if m-commerce grows incredibly quickly, it's not going to catch up with PC-mediated e-commerce. (Which as we all know, is a quadrillion dollars per year). In other words, most of that $8 is going to have to be recouped by people buying products through channels not based on the phone (ie on PC or "in real life"), making tracking of advertising effectiveness horribly difficult to measure. Nobody is going to be buying a car on their handset... and can you imagine the fun politics of tracking churn, when you're changing phone & operator based on an advert seen on another operator's device? Personally, I think that Schmidt is either deliberately overstating the market to drum up excitement.... or he's about to make a horrible strategic mistake. The worrying thing for me is that most of the Google folk I've met or heard at conferences appear to have a very narrow view of the mobile industry, heavily coloured by the US market viewpoint (no prepay, people deliberately buy 'smartphones' and are willing to download apps, people want a single device, that 'normal' people actually want the Internet on phones etc). I'm singularly unconvinced by Android based on what I've heard so far. In fact, if he's staking the company's future revenue growth on this, I wonder if we've just seen the big G hit the high-water mark, and it's all downhill from here. I see that Truphone has launched a call-through add-on to its service. This is a bit like iSkoot with Skype, or various other pseudo-mobile-VoIP services like Jajah and Mobivox. There's no point in having a "one size fits all" approach to blending VoIP and mobile. The precise circusmtances of an individual user will vary according to country, calling patterns, preferences, handset, "host" mobile operator, specific tariff, partnerships, interest in "enhanced" VoIP vs. cheap calls, and myriad other criteria. Now this is a very interesting announcement from Vodafone Italy. Due for launch in the summer, it seems that Voda is launching a really clever combined ADSL Gateway + detachable HSPA Dongle product and broadband service. Apparently the box has been developed in collaboration with Huawei. Some more details, and a picture of the Huawei box are here, and a video of the detachable dongle is here. So, clever part #1 is that this combines an ADSL home broadband connection with an HSPA mobile broadband connection. I've been commenting for a whole that many users of 3G dongles also have home broadband, although some might view it as a substitute. This is the neatest offer I've seen that combines the two, although both O2 has a bundle offering as well. And clever part #2 is that the box starts working in advance of ADSL being provisioned, by using the 3G dongle as an alternative wireless access for the gateway. In the past Voda has sold a Linksys box with a slot for a 3G data card, but that was mainly aimed at businesses wanting a portable 3G-backhauled WiFi access point. And #3 is that it supports voice, over both ADSL and HSPA, from both phone or PC. I'm waiting to get full details, but it appears that this must be VoIP, unless they've somehow got a circuit-switched voice client on the PC, coupled to the dongle. Now perhaps the idea is to offer basic OK-quality VoIPo3G on the gateway until ADSL is provisioned. But it will be really interesting to see if the dongle also supports full VoIPo3G from the PC when connected remotely. EDIT, 29 May: I've got a clarification and it turns out that it's not quite as clever as I thought.... unfortunately, it's not VoIPo3G. You can make voice calls via the circuit-switched capability in the HSPA dongle, with a traditional analogue phone plugged into the voice port on the box. Apparently voice isn't supported when the dongle is used on a PC. Looks like the wording in the press release was a little ambiguous. VoIP is supported when it's in DSL mode. I'm sure there will be a barrage of comments today on Vodafone's results, and Arun Sarin's announcement that he is stepping down. So I'm just going to pick out a couple of items that caught my eye. Firstly, it's worth getting a reality-check on 3G. In W Europe, Vodafone now has 24m 3G subscribers out of a total of 111m. I'd guess around 3.5m-4m of the 3G devices are dongles & other modems. (Voda says it has 5.8m total modems and Blackberry-type email devices). In its EMAPA region (E Europe, MidEast, Asia & Pacific) it has just 3m of its 119m subscribers using 3G. It's sometimes tempting to think that 3G's march through the user base is a "done deal" and we're all moving on inevitably to LTE in short order. Walking through central London, you'd imagine that everyone has a Nokia N95 or SonyEricsson K800/850i. But these figures highlights just how slowly the real world moves - there's still plenty of GSM out there, and it's not changing very quickly (and, indeed, it's still growing hard in places like India). Do a search for the word "content" in the results, and you get two mentions. In Germany, it says it has seen "a 10.1% reduction in other direct costs, mainly from fewer handset sales to third party distributors and lower content costs". In the UK it says "The 7.1% increase in other direct costs was due to cost of sales associated with the growing managed solutions business and investment in content based data services". It seems that mobile content has moved from being seen as a revenue source, to being a cost. Not directly quoted in the results, it's also interesting to see that Voda's German head has been quoted today as (I'm paraphrasing) saying that subscription-paid Mobile TV is dead. He's pointing the finger at phones capable of receiving free-to-air terrestrial digital TV, although to my mind that's just a convenient get-out clause as the whole Mobile TV proposition is inherently flaky. Lastly, a plug for my company, Disruptive Analysis. I'm going to let myself be a bit smug and say "I told you so". It was 2 years ago that I wrote about my analysis of Voda's data revenues indicated it being dominated by Blackberry and 3G modems. At the time, that was against a backdrop of sustained noisy wishful thinking about Live! and other content/inhouse data services. Many other analysts were exhorting mobile operators to avoid flatrate data plans like the plague, pointing to a horrible "bitpipe" future. "Over the year, data revenue has increased by 40.6% on an organic basis to £2.2 billion, principally driven by continued strong growth in business email and PC connectivity devices, which in total nearly doubled to 5.8 million. We have seen strong take up this year of USB modems"
I've been consistently saying that is has been an inevitability. "Many seem uncertain about deploying IMS, worrying that it could open the floodgates to 3rd-party IP applications. What they don't realise is that it's going to happen anyway, and that opening the floodgates is the only way to avoid drowning in the flood." I've been privately advising some of my consulting clients about contrarian and anti-consensus views like these, just as I have been counselling them to dismiss many of the rose-tinted surveys and forecasts about mobile content/applications that don't bear close scrutiny. There are plenty of ways to sell, enhance and monetise "pipes". And there are some next-gen service opportunities that are probable winners. If you are interested in hard-hitting viewpoints that challenge "perceived wisdom", get in touch. Disruptive Analysis provides workshops, forecasts, reports and presentations on topics such as these. Please email consultancy *AT* disruptive-analysis.com for details. Speaking at RIM's 2008 Capital Markets Day on May 12, Jim Balsillie, co-CEO of Research in Motion (RIM), took the opportunity to acknowledge the tremendous progress UMA has made in the market. “Wi-Fi UMA is going remarkably well," he remarked. "It’s very compelling...This is happening, and it's happening fast." The key word here is "carrier". RIM's entire business model is based on the concept of the carrier always being in control (albeit with RIM's network ops guys sitting behind them). RIM does not sell "vanilla" smartphone devices direct to end-users, like Nokia or HTC. So although RIM puts WiFi into its devices, it only permits its use at the carrier's discretion. It's not possible for a company to buy 1000 unlocked BlackBerries from a distributor, configure the WiFi to work with their Cisco IP-PBX with an FMC client, and then source 1000 SIM cards from whoever they like. Nokia takes the view that this approach is as valid as selling via the operators. RIM only plays one half of the market - and although obviously the carriers like this philosophy, it isn't the whole story. This is why RIM likes UMA - it is perfect for devices which only feature "operator-controlled" WiFi. It is very far from perfect for those that sell devices that an allow direct WiFi control by the end user. Qualcomm's had a busy week in the UK. First off, it paid £8m for 40MHz of "L-Band" spectrum at 1452MHz, suitable for.... well, who knows, but possibly a MediaFlo mobile TV network. As it's unpaired, it's not usable by conventional CDMA technologies or its ill-fated UMB system. And this morning, it's been announced that it's taking a strategic stake in pico/femto specialist ip.access. Given that it's also got Intel on its investor roster, that should make for some interesting board meetings. Whenever I've raised the issue of femtos with the big Q in the past, I've essentially got a shrug and a "nothing to do with us really, but it's all radio coverage, so generally a good thing". So I have to say this is a little surprising - although certainly no more so than Google's investment in Ubiquisys. It could be to encourage ip.access to develop CDMA femtos as well as 3GPP ones, I suppose. Or.....I wonder what you could do if you put a MediaFlo chip into a femtocell... either for receiving signals to create the equivalent of a parallel digital terrestrial network. Or for sending them at lower power to distribute TV around a house, a bit like Ruckus does with WiFi. First off, let me say that I like feeling secure, and living slap back in the middle of central London I'm acutely aware of the risks of terrorism. But the proposals being considered by the UK government to build a central database of of phone calls and emails are as scary, as they are ridiculous. Now I suspect that (initially) the main task will just be collecting call-detail records and IP addresses & email headers, rather than the full content of voice calls and email bodies & attachments. I don't have a problem with police accessing call records, or cell tower locations, in order to investigate crime. I don't mind them tapping the calls of suspects, or even applying some sort of pattern-recognition algorithms to suspicious-looking "networks" of people. They probably do this already, and within reason I don't mind the process being made more efficient. But frankly, on this occasion I trust the telecom operators to be more secure with the data than the UK's clueless and hapless Home Office. Given recent data losses, and evidence of abuses of the existing powers to examine electronic records for petty bureaucratic reasons, the current administration's record on these matters is execrable. The excuse that this is just a way to implement the EU's rules on harmonised record-keeping are a cop-out as well. While I recognise that there is useful security information to be gleaned from aggregate data sets like this, this needs to be set against the negatives of untrustworthy and sometimes downright malicious oversight of that data. And in any case, any serious terrorist is able to use 101 techniques to circumvent this - from encryption to steganography to anonymous remailers, and a bunch of other things I'm not going to write about on a public blog. Yes, some patterns might emerge after an event, enabling associates to be traced more quickly. But even that doesn't offset the much greater risks from information misuse. I'm personally willing to accept a modicum more risk to my safety, set against a much greater risk to my liberty. The current UK Government is one of the world's worst offenders in assuming that "risk management" is the same as "risk minimisation", and that its citizens will accept any tyrannical methods proposed in the name of security. I'm looking forward to it getting its well-deserved kicking in upcoming elections. Flattening Symbian shipments - user apathy about smartphones becoming apparent? I've written before that I had my doubts about the supposed conversion of the world's mobile population to smartphones. And in particular, that many supposed "smartphone shipment" graphs include the use of locked-down smartphone OS's in places like Japan, and smartphones bought just because the user liked the looks of a device, rather than caring about the software. (Note to US readers: many people buy smartphones in Europe because they're Nokia's or high-end SonyEricssons and have nice design / camera / music functions - but neither know nor care that they're "smart". Many Nokia N95 owners would rather eat their own shoes than look for and downloads apps to their phone). Michael Mace's coruscating post about Nokia's weird attempts to stimulate interest in downloadable apps for handsets in the US is right on the money). So there's only a small proportion of mobile enthusiasts/geeks who actually WANT smartphones because of applications. Obviously there are people who want (or are given) a particular capability for business use (step forward BlackBerry and some Windows devices), or who buy iPhones because, well, they're iPhones. In other words, sales are down not just seasonally since Xmas, but are even below the level of mid-2007. Against continued shipment growth of the overall market to above 1.1bn phones a year, that's not looking too promising for some observers' expectations of 30% penetration of smartphones in a few years' time. My personal expectation is that a ceiling of 15%-ish is probably more realistic, with some grey-area definitional fuzziness around what exactly constitutes a smartphone - for example, if it's got a Linux kernel buried down in the guts of the device. What's behind the fall? I suspect a number of factors. The Wow factor of the iPhone is one. The shift by European operators to 18 month contracts is almost certainly another. I'm not sure on shifts in the mix of OS's in DoCoMo's sales recently. But the main answer has to be that Nokia doesn't seem to be pushing the open OS harder down into the mid-tier. Put simply, customers would rather have that extra $4 of software spent instead on a better camera, or more memory. I'm at Ericsson's Capital Markets & Analyst event in Stockholm today. There's been a huge amount of discussion about mobile broadband, in terms of traffic growth, moves towards HSPA and LTE, and the demand for backhaul capacity. The CEO of Mobilkom in Austria spoke about that country's huge shift towards HSPA, to the extent that it's starting to catch up with ADSL use in terms of susbcriptions (dongles again...). Austria is a bit of an outlier in adoption of HSPA, with data traffic apparently now 20x outweighing voice on the network, but it's an interesting indicator of what's coming down the line. In particular, it's indicating that the leading HSPA networks are now having to deploy an extra set of transmitters on the base stations. For those readers who don't follow this area, 3G UMTS networks (including HSPA), use 5MHz spectrum slices. Most operators have allocations of 10, 15, 20MHz or more, but typically haven't been using all of their theoretical capacity thus far. The interesting thing for me is just how fast this occurs. Now, Austria is unusual, but even if you assume that most countries will take two years from launching flatrate dongle plans, rather than one year, to fill up the first 5MHz, it's an early indicator of demand ramp-up for spectrum (and capacity) over the next few years. 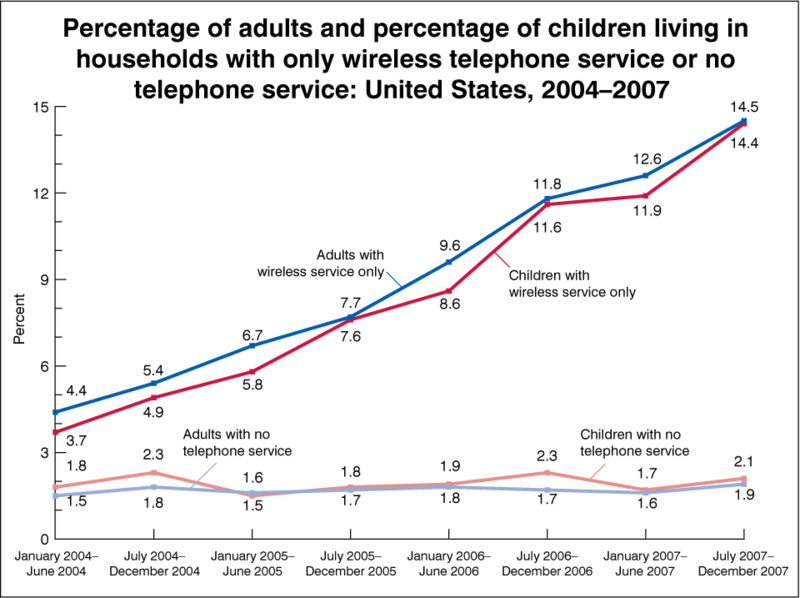 This is especially true as end users get used to higher-speed HSPA, as well as increases in the total number of users. Add in some growth in data traffic from phones with decent browsers or video clients, and it starts to look as if the 2.1GHz 3G band is going to fill up very quickly. Firstly, there's a short term business case for femtocells - if they can work out cheaper than adding a second or third 5MHz carrier on the macro network. On the flipside, some of the calculations I've seen have suggested that femtos substitute for new extra base stations rather than adding extra kit to existing ones. I'm not sure what the comparative costs are, but I guess that bring up a 2nd carrier must be a lot less. On the other hand, the company refreshed its overall take on broadband traffic, reiterating what it said this time last year. In a nutshell, even with massive growth in HSPA & LTE, the world's total mobile data traffic will still only be a tiny fraction of fixed-line IP (<5%), even out to 2013. The main driver of fixed-broadband traffic is seen as IPTV, especially on GPON fibre and VDSL access lines. I've been consistently negative about the prospects for metro WiFi. It's been doomed to failure from the start, usually championed by bored local-government IT drones looking for a new bandwagon to waste taxpayers money on. There's a long list of negatives, but chief among them is that outdoor WiFi doesn't work indoors. It's useless. It's just wireless for traffic wardens. So the demise of the Philadelphia poster-child network comes as little surprise to me. I'm a little more open-minded about metro WiMAX (or maybe 3G), but I'm not holding my breath about that either, especially if it's at 3.5GHz - and 2.6GHz might be tricky too. I've seen quite a lot of large numbers and hockey-stick curves recently, all indicating an imminent huge explosion in femto shipments in the next few years. ip.access' very good femto blog has links to quite a lot of the studies, some of which suggest shipments are going to hit 10's of millions of units as early as 2010-2012. I haven't got copies of my competitors' studies, so I don't know exactly what assumptions, methodologies and caveats they are using. My current view is rather more pessimistic. We're already in the middle of 2008, with various trials ongoing. I'm expecting to see lots more trials during H2 2008 and H1 2009 with a variety of results being published, both positive and negative. I'd agree with the assertion of one of my peers that 2008 shipments should be in the 100,000 range, although precise numbers are likely to be a little fuzzy in terms of defining "shipments" versus orders, versus paid installations in active users' homes. I think there will have to be a lot of efforts made during 2009 to fix all the problems these trials throw up - nothing unusual there, just the normal technology deployment cycle. Getting everything right first-time, and immediately flipping the switch on the massive manufacturing plants, seems implausible to me. I can't think of anything else that's ramped up that quickly. Sure, we'll see some niche deployments - perhaps in certain groups in Japan, or in bits of the US with lousy macro coverage. But are we going to climb to rapid adoption among the addressable market (essentially the world's 400m or so home broadband subscribers)? I'm unconvinced by the business model or demand just yet. It'll come, but there are a lot of prerequisites still not in place, not least of which is a sufficient population of 3G handsets or other devices, and people who actually want to use them for high speed access. And even at $100 or $50, femto capability is too expensive to put into a home gateway if it's not going to be used. (If it's $5 or $10 like WiFi, it's cheap enough to just put it in the box by default - if the user doesn't switch it on, it's no big deal). But more importantly, I'm starting to come round to the view that femtos will only become truly massmarket when we get to LTE deployment, and that HSPA and EVDO femtos may only be a starter to 4G's main course. I have various reasons to think this, and I'll have to annoy some readers with a bald assertion that it's about application related issues, and radio/spectrum reasons. I'm intending to publish a report in the next few weeks that will clarify my thinking on some of this, so keep reading. As a last part of the post, I've taken a punt at some numbers. I'll be absolutely upfront, I haven't done a rigorous model on this at the moment, these are just educated guesses, based on my understanding of mobile, device and broadband markets, and having watched the evolution of picos & femtos for more than 7 years. In the 2009-H1 2010 period, I'm expecting the market to be driven by a small number of major operator advocates (much like dual-mode WiFi/cellular services today). After 2013, when LTE starts hitting mainstream devices like phones in a big way, then I can potentially see a much larger uplift. Price points should also enable femto capability to be added to broadband home gateways 'for free', and also by that point we should have resolved issues like multi-operator femtos, and what the business model might be for femtos+prepay mobile. Edit - as well as LTE triggering femto ramp-up, I'd amend my view to include HSPA *after 3GPP Release 8* as well. We'll probably start to see R8 phones & networks emerging into the real world from end-2010 onwards, ramping up during 2011-13. I went to a launch event for BT's new upgraded version of its Total Broadband service yesterday. This is a package the company has offered for some time, which bundles assorted additional capabilities along with the basic (and fairly slow - just 8Mbit/s) ADSL Internet connectivity - online backups, access to BT OpenZone WiFi hotspots, BT Broadband Talk VoIP service and so on. It's centred on BT's Home Hub gateway which also provides WiFi, a DECT handset and remote management. In the past, the Home Hub also acted as the centrepiece of BT's ill-fated Fusion dual-mode UMA service, which has been quietly interred, after singularly failing to set the world on fire. But BT has now reincarnated its FMC plans, calling it Total Broadband Anywhere, but binning the 'seamless' UMA rhetoric and focusing more on what I see as a sort of consumer-grade BlackBerry proposition, with a bit of added VoIP when in WiFi coverage. At first sight, I was a bit critical of the offer, which features a couple of fairly humdrum 2G-only HTC phones from yesteryear (especially as it was announced on the same day HTC debuted its shiny new Diamond iPhone-challenger device). People who aren't bothered by cable TV & so aren't particularly interested in Sky's or Virgin's 3/4-play bundles. Home workers who feel that paying a bit more gives some sort of peace of mind, but who aren't prepared to stump up for a dedicated Business Broadband line. (I'm in this category myself). I suspect that BT broadband is less popular among younger groups like students who perhaps focus on cheaper or "free" offers and prepay mobiles, or gadget-hungry enthusiasts who want iPhone along with their HDTV. I also suspect the "traditionalists" and their spouses are perhaps less likely to have company-issued BlackBerries. And the device UI seems to be pretty user-friendly, and BT has focused on some fairly simple setup & configuration procedures. In other words, there's probably a segment of BT's 4m-odd broadband subscribers who could see the benefit in paying an extra £5 a month for an extra email & web device, also usable for BT's VoIP service when in range of home, hotspot or FON WiFi. It's not going to sell in its millions I suspect, but it should help BT maintain its ADSL margins and minimise churn. It's also notable that it's not being positioned as a replacement for users' existing phones, although clearly the company hopes that some users will choose to port numbers and use the device as their primary handset. However, there are a couple of flies in the ointment. The 10MB data allowance outside of WiFi coverage is meagre, and perhaps reflects BT's ageing MVNO deal with Vodafone needing some renegotiation. The absence of 3G handsets is also bit weak - although of course both iPhone and BlackBerry seem to do pretty well without it. But what I think is a glaring gap is the absence of a consumer 3G dongle for their laptops. And also that the Windows Mobile devices rely on 'pull' rather than 'push' email, and also don't have any dedicated IM capability. Overall, I'm more positive on this than I was about the original Fusion proposition. There’s much confusion and discussion today about Apple selecting two operators to sell iPhones in Italy – Vodafone and Telecom Italia. Plenty of observers are pointing to a huge shift in Apple’s exclusivity strategy, or debating whether the iPhone is uncompetitive in the Nokia-rich European marketplace. But in my opinion, there’s a much simpler explanation, especially missed by most of my counterparts on the other side of the Atlantic. In the US, prepaid mobile phone services are viewed by many with disdain – they’re for socioeconomically disadvantaged people, or migrants without US bank accounts or who fail credit checks. Americans seem to think that all real mobile users are always happy to be tied into 2-year cast-iron contracts with monthly subscriptions. I’ve lost count of the number of conversations I’ve had with people from the US who are genuinely amazed that most of the world’s mobile subscribers use prepay. And in many cases this is not because they have to use prepay because of economic circumstances, it’s because they prefer to. Many simply do not want to be “on contract” because they want the flexibility to top-up their account and control their spending. Some like to swap SIMs to play tariff arbitrage. Many want multiple phones and numbers, and not need to maintain ongoing accounts for each. Some want to buy a phone separately to the service component. Or because the contract-based plans don’t meet their needs in terms of bundles. Some just do it because they’re used to it – it seems natural. But people from the US tend to think there’s some kind of stigma attached to prepay, rather than it just being the way it’s done, no big deal. It’s similar to the way that the rest of the world looks at the US and is amazed by the preponderance of phones in hip holsters – which in our eyes have an equivalent social stigma. But for people in the US, wearing your phone on a Batman-type utility belt seems as acceptable for a trader on Wall Street or a fashionista on 5th Avenue as it is for the geekiest nerd in the IT department – it’s just the way it’s done, no big deal. And so to Italy and the iPhone. Vodafone Italy has 22.8m customers, of whom 91.2% (about 20m) are prepaid customers. Telecom Italia Mobile has 36.3m subscribers, of whom 85% ( 30.8m) are prepaid. And many of the contract customers are actually corporate users, or even subscriptions for 3G modems or embedded M2M modules. While plenty of prepay customers have shiny, high-end smartphones. In other words, the number of individual consumers in Italy who would buy an iPhone, together with an 18/24-month contract, is roughly twelve. Apple has obviously realised that its much-vaunted monthly revenue-share business model isn’t going to work very well in Italy, especially if it only has one carrier as a route to market. And given that prepay top-ups make it is almost impossible to identify which phone they are used with, I can’t see how Apple is going to get a revenue share on prepay that way either. Far better to try and persuade Italian consumers to pay full-whack retail price for the device, and then use it with the prepay SIM from the operator of their choice. This is also quite possibly why Vodafone’s announcement yesterday was so terse – Apple is probably going to have to reinvent its whole revenue model for the iPhone in prepay-centric markets, and somehow communicate that to its investors. And face down its current contract-based partners wincing about paying Mr Jobs a 10% tax for the privilege of selling his device. And I’d guess Apple probably wants Vodafone to keep quiet about exactly how this will play out in other prepay markets like India, Egypt, Turkey et al. I wonder whether there's a deeper story behind Vodafone's remarkably terse announcement this morning that it's going to be selling iPhones in 10 of its national markets. .... and even more importantly, no indication whether "the iPhone" might be a new 3G version.